Hello everyone! Today I welcome my fourth guest on this space. Her name is Sherin, who is a doctor by profession. She has a nice blog at Kuk's Kitchen. Do visit her space to see more of her yummy recipes. Today she is sharing rava idli which is my personal favourite too. Read on in her own words about her and the dish. husband is my pillar of support and my son ( 3 1/2 yr old) is my best critic. :) Started cooking while I was at school, my first attempt being a sweetie, no surprise there for people who know me. I started cooking more after marriage, as most girls do. My experiments with food blossomed after coming to the UK, where the grocery stores opened up a variety of foodie opportunities for my hungry tum. Priya on her page inspires it. - Grease the idli pans and keep aside. - Heat oil in a pan and splutter mustard seeds and urad dal. - Remove from heat, add the salt and baking soda and mix well. Set aside to cool. too thick add water. The batter should be resemble idli batter. - Steam for 10-12 minutes till done. - Use slightly sour natural yogurt for a better taste. - If using roasted rava, skip sautéing rava in pan. - For a white idli, omit turmeric powder. Thank you Sherin for yummy rava idli. I am going to make these for sure. What about you friends? Don't you like this yummy dish. Those who would like to be part of this event, kindly click on the Join my event link at left side bar. Hope to hear from everyone. Thanks Meena and Sherin for yummy rava idli recipe. It would make a great breakfast dish and tea time snack. Nice post.. Love rava idly.. Neat presentation.. Wonderful rava idli. Kudos to Sherin and Meena both. 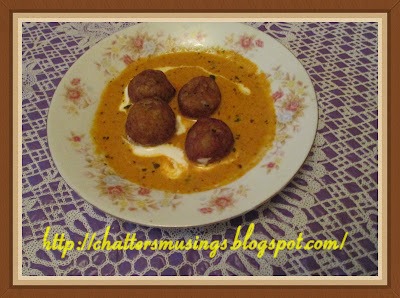 I would like to have this idlis rite now for my breakfast,inviting..Awesome guest post. loved the post..nice soft and delicious idli..thanks Meena and Shirin for the post! Thank you Meena for letting me do the guest post. U have a great space here dear. Thanks for the wonderful comments dearies. I like these more than the normal idlis because they are light and more spongy or probably because in my house the rice ones are not made as frequently as these. 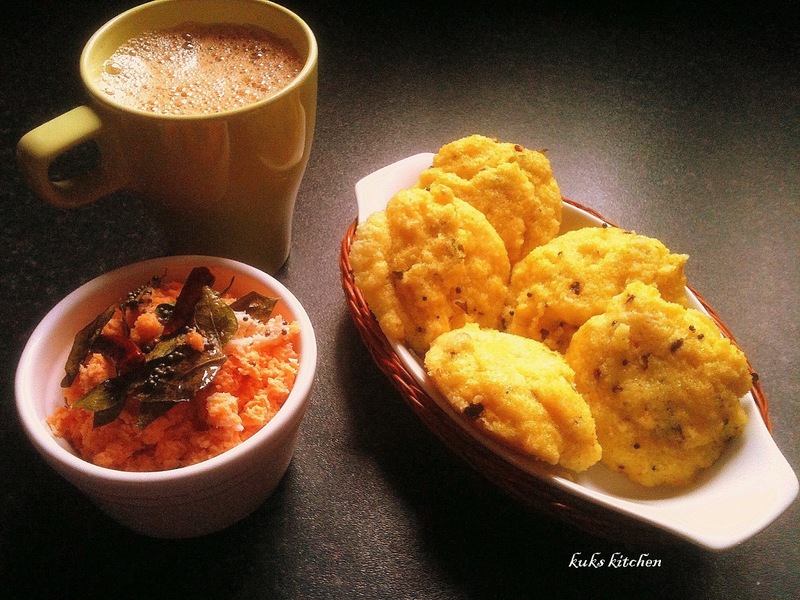 Delicious rava idli hats off to Meena and Sherin for this wonderful post. wow looks so yummy and delicious.. Thanks dearies for the lovely comments for the both of us.